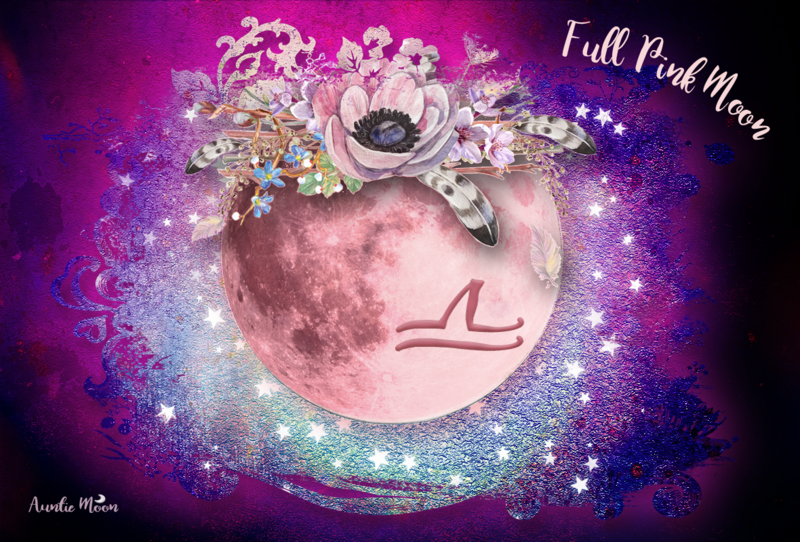 So many of us are hoping that Neptune in Pisces will usher in a new spirituality, a shared enlightenment and soul connection. Knowing the nature of mankind, is that dream any more than a Neptunian delusion? I never felt any different. I wanted to feel different, but I never did…What I noticed was that nobody changed their spiritual beliefs. Someone that was very spiritual beforehand was maybe a little more spiritual now. Someone that was agnostic before, he was more agnostic. Someone that was atheist before, more atheist. So I feel like it just reinforced whatever you believed. I have a strong hunch that’s going to be our shared experience of Neptune in Pisces. We’ll all be more of what we already are. I can imagine people saying to early pilots, “You flew above the clouds. Did you see God up there?” or “Did you feel spiritually different?” Now that would be a logical thing to think about in the early days of aviation. Now we think it’s strange because if there is a God (nobody knows), he’s moved further out. And that’s always been true of history. He used to be on top of Mt. Olympus. So when we got up there, he’s a little bit further out. You can see Alan Bean’s chart here. It’s so cool that Bean’s Moon is in his 11th house. 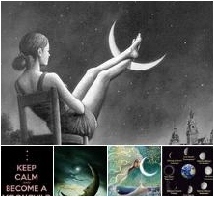 Citing that placement might not be sound astrology, but it’s certainly gorgeous symbolism. And that’s really okay. Some people might think we’re nuts. Others are completely on board with us and believe the same things we do. Most of us want ~ no, we need ~ a little Neptune and Pisces in our lives ~ some idealism and a little blending and merging. The secret to Neptune in Pisces may be that whatever you choose to believe, believe it with all your heart and soul. There’s comfort there. Next postA Reader Asks: How to Learn Astrology? I don’t have a Moon ritual for birthdays, but I do enjoy a birthday tarot reading for the coming year. 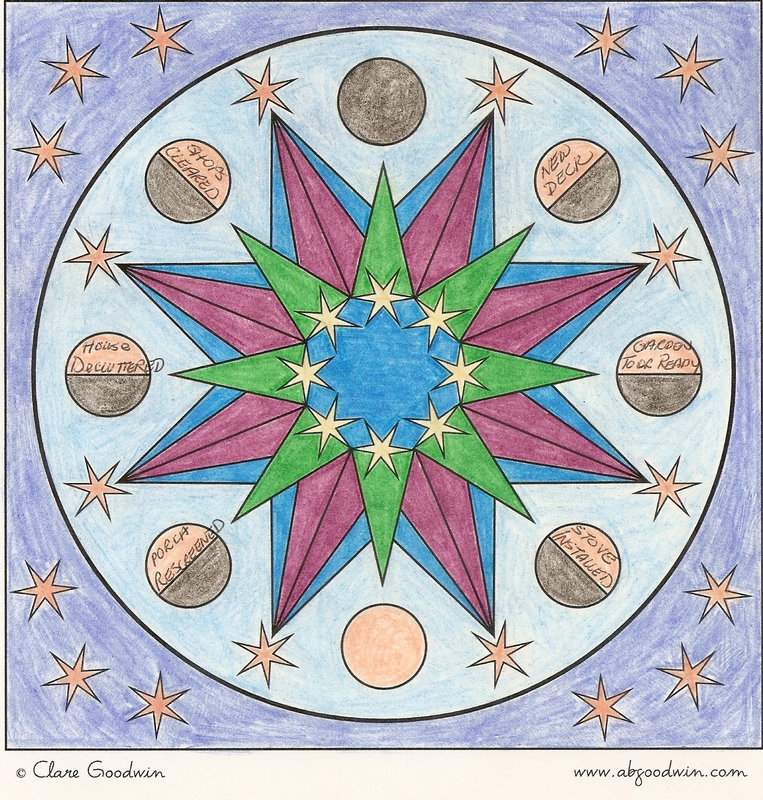 At the New Moon and solar eclipse of last year, Clare Goodwin published a beautiful New Moon mandala that I downloaded and colored. I love this mandala because you can note a goal in the eight different moon phases. Since the eclipse was in Cancer, I devoted all my efforts toward making a better home and wrote 6 important goals about improving my home and property. All in all, I’ve done okay. You could do something similar. I found this to be very helpful in laying out some goals for the year. An affirmation that I live is, “Be strong in your belief system, whatever it is.” Maybe with Neptune in Pisces, people without belief systems will finally find one and be strong in it. Well all i can say is one need to stay calm and patient to handle the challenges of life. Thanks for passing along such an awesome article on Neptune in Pisces. Great share…! !